At eOffice we are always excited when welcoming new startups into our community, admiring their energy, ambition and innovative thinking. After successful completing Pi Labs Accelerator, OfficeR&D joined eOffice, sharing our coworking space with other thriving entrepreneurs. 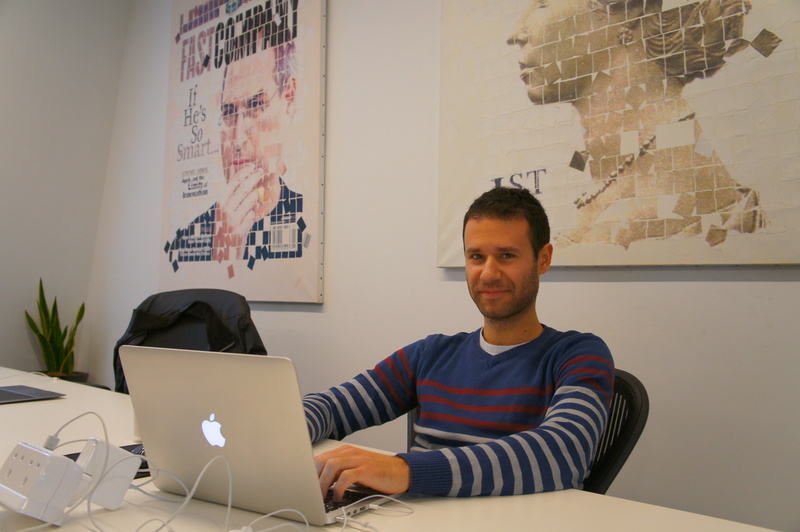 Miroslav: I’m software engineer and manager with more than 10 years of experience in the IT world. Being software guy and working countless hours in the office taught me that the workplace play key role in our lives. This is how before 9 months, together with one more Miro, we decided to start our own software company that is aiming to change the office world. We started with the offices that we love the most – this modern and vibrant coworking spaces that are popping around the world faster than anyone expected. eOffice: What are the main changes in the management of coworking spaces in general? 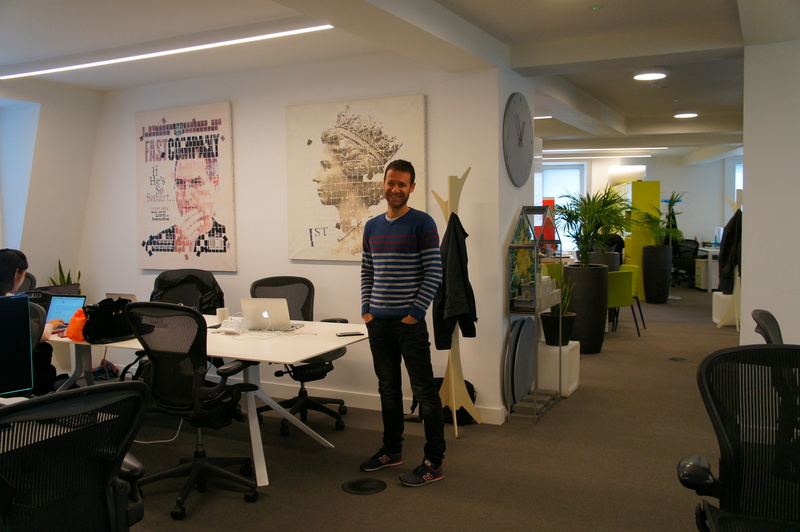 Miroslav: The coworking spaces are booming around the world. It is really interesting trend to follow. I must say that still no one really understand the market very well. That said, what we discovered so far is that some coworking spaces are turning into business groups. They grow fast and mature in a way. When you grow it starts to become more obvious that you need software to manage the whole process. How to deal with the physical space, members, resources, availability, bookings, payments, and etc? At some point you need to know if your space is optimal, how does it perform, get more meaningful insights, reports and analytics. As the business matures, it will most definitely need more sophisticated, modern software. This is what OfficeR&D is all about. eOffice: How do you see the evolution of the coworking trend? Miroslav: As I noticed, it is growing really fast. This makes a lot of sense though. The coworking space is really a place where you want to work. I love the idea that I can work on my own Company and at the same time I can share the office with friends that are doing their own projects or even studying their PhDs. If you’re tired of commuting, you just choose the local coworking that is just around the corner. 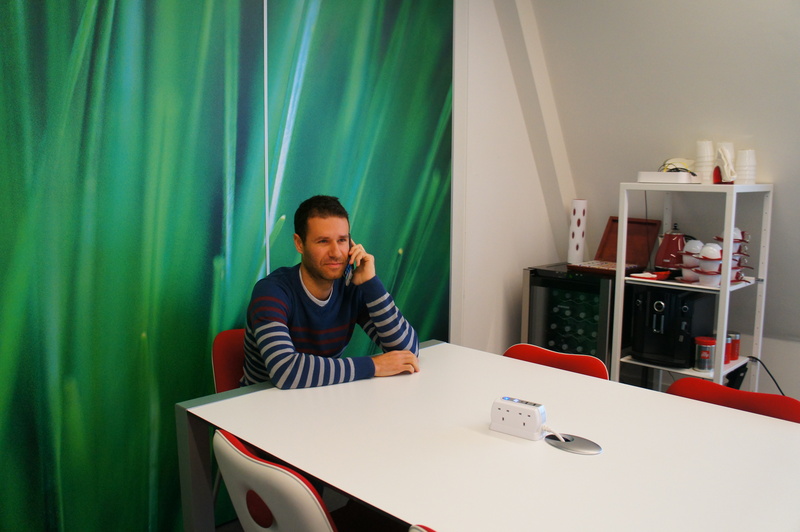 There is another trend going on in the coworkings – the services that you can get on top of the desk/office. Usually when you are a member of a space you get amazing benefits of all the partners that the good coworking spaces have – discounts, memberships, access to investment, know how and business advice. Not to mention the great community you get for free. eOffice: How do you feel being based at eOffice? Miroslav: eOffice is just amazing place to be. I am big office design fan and I love the layout and design of eOffice. It is very stylish and professional. This helps me to be productive and feel good in the space. Also as I mentioned, the good coworking spaces provide great value and community with the membership, and eOffice is maybe one of the leaders in this. And not to mention that the eOffice team is hugely helpful in making OfficeR&D the best platform for coworkings out there. Actually this is what it makes a good coworking – providing intrinsic support to startups like us. By the way I really dislike comparing coworking spaces though. I even wrote anti-post that we should not compare and rank them as every space is awesome and different.